The Del Rio Trophy Buckle has a classic look. This buckle is made of German silver with an antiqued background. The border is a combination of our German silver standard beaded border with copper berries along with four diagonal turquoise stones that are interchangeable with the stone of your choice. 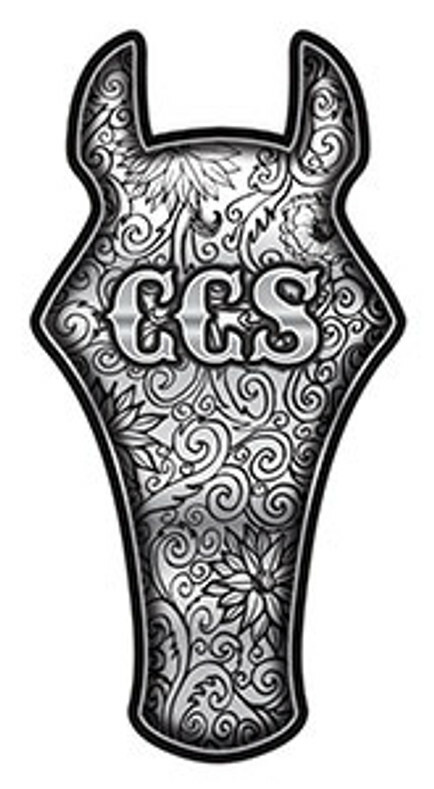 The standard lettering of this buckle is designer copper with Jeweler's gold floral engraving.If you would like to add your own custom logo or brand, add a PDF attachment file. We would like the ordering process to be easy for you, so if you have any questions we would love to talk to you on LiveChat to make sure the details for your buckle are spot-on. If you would like to see the different types of letter, borders and stones we offer for your customization Click Here.